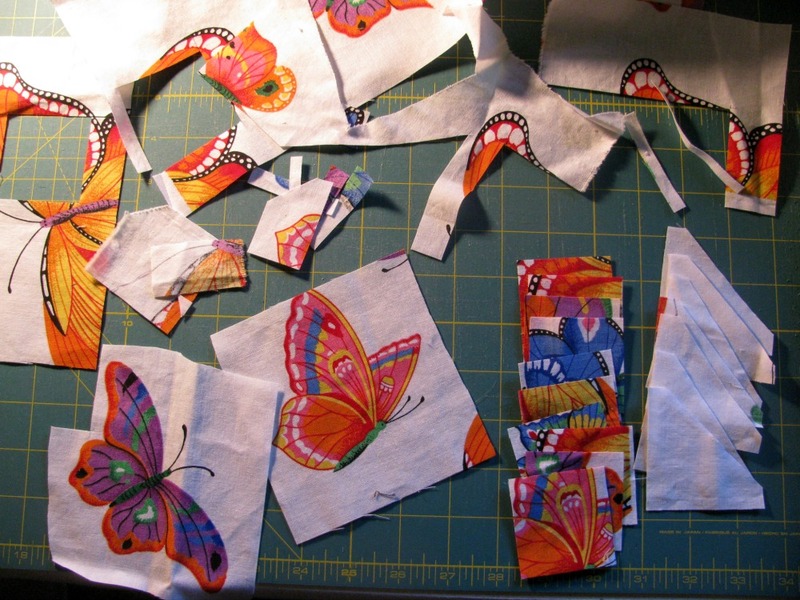 I've had in my stash for many years a length of fabric with big bright butterflies all over it. Pretty and bright, but hard to use -- I like piecing, and this isn't the kind of fabric that cuts up very well. I cut out and appliqued a butterfly onto a bag once, and I did manage to use a good chunk of it to back a baby blanket recently, but another piece was left. It had been put into the give away pile a few times but always got pulled back -- it was just too pretty! The other day I came across it again and decided that NOW was the time to get this used up! 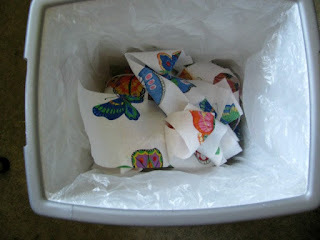 I cut out as many 6 1/2" squares as I could -- there were 20 -- perfect! 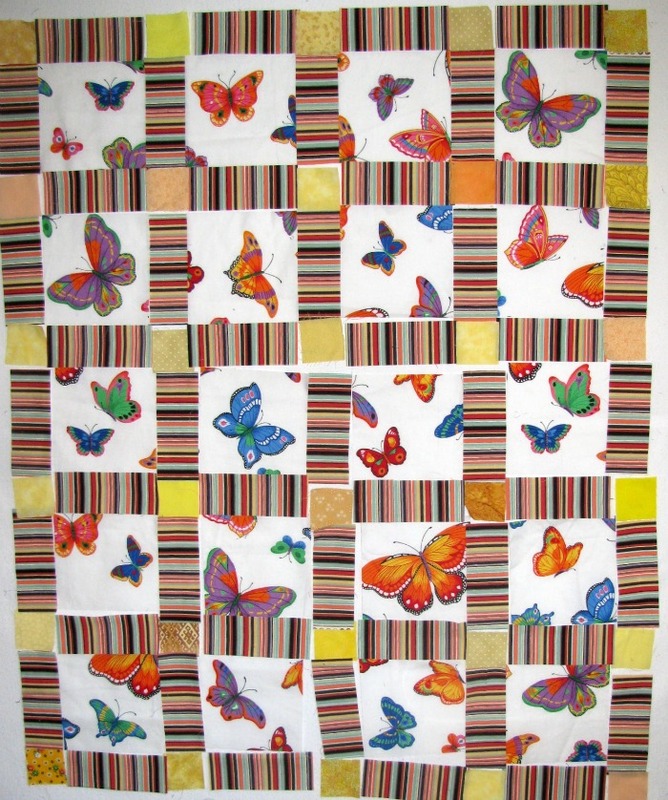 I found a striped fabric that used the same colours for the sashing and some scrappy yellow squares for cornerstones. Great! This is the beginning of a child-sized quilt. Butterfly blocks on my design wall ready to become a quilt top. And I picked up the rest of the fabric and dropped it into the trash! Gone! That's the end of that fabric! Oh, Louisa, you are as bad as me!!! I would have done the same thing. 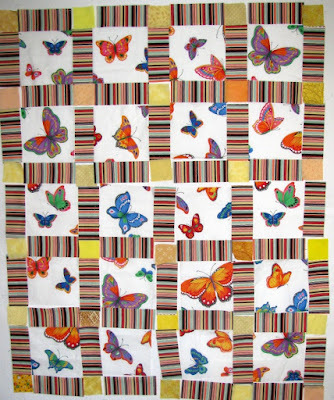 By the way, the quilt is really cute! Have a great summer. I would have pulled it out of the trash too! It will be pretty in whatever you decide to use it for.